Many families gravitate to vacation rental homes for the affordability and convenience of onsite kitchens, laundry facilities, separate bedrooms and plenty of space to spread out. From beach destinations to mountain retreats, these destinations are particularly ideal for vacation home renters. 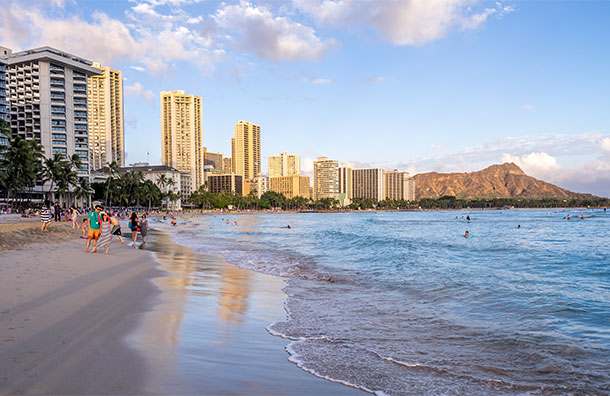 Lush tropical rain forests, gorgeous white-sand beaches, pristine waters and breathtaking mountain views invite families to create lifetime memories as they explore, discover and enjoy all Hawaii has to offer. The islands offer almost every outdoor activity imaginable -- picture hiking to a waterfall in the rain forest, paddling into a coastal cave, or dancing at a traditional luau, all followed by spectacular sunsets on the beach. Since it's a long trip for most families, many choose to stay for a week or two, making rental homes a popular choice for those looking to save on meals and otherwise very expensive accommodations. Don't stay for too long though -- it might be too hard to go home! 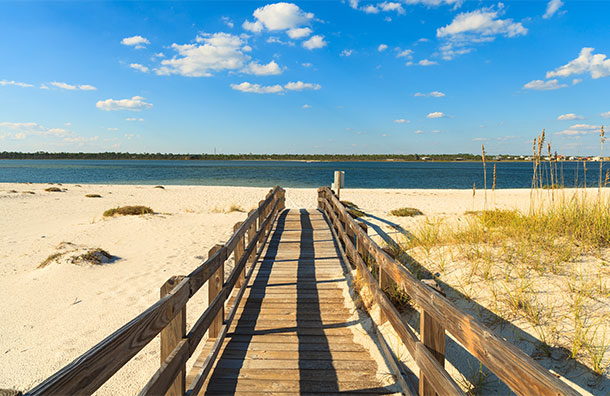 The Florida Panhandle, boasting some of the whitest-sand beaches in the world, stretches for seemingly endless miles on the Gulf. 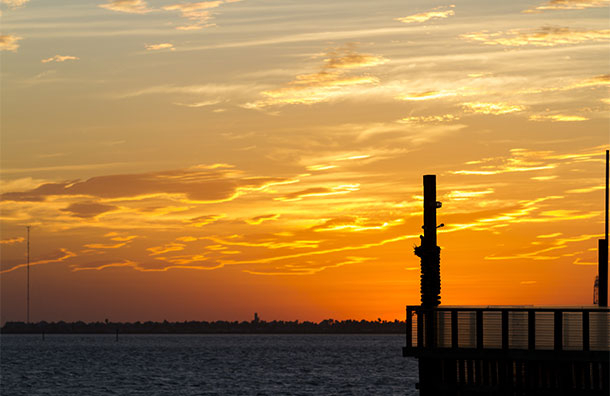 Speckled along the way are everything from quaint little seaside towns, like Apalachicola and Seaside, to modern and lively vacation spots, such as Destin and Pensacola. Although there are a number of hotels and resorts in the area, there are even more vacation rentals from which to choose, including condos with spectacular ocean views and single family homes with backyard swimming pools. The quiet location also lends itself to old-fashioned family fun. Activities include biking, kayaking, canoeing and hiking more than 200 trails. The clean and uncrowded beaches sport a gentle surf, too, making them well suited for sandcastle building and new swimmers. Orlando is a no-brainer for families, and while the area offers a wealth of hotels (particularly in the theme parks), you might be surprised to learn it's also a prime vacation rental home destination. It offers everything from condos to single-family home rentals with pools, easy access to theme parks, and a bit more space for families to spread out. Since the traffic in Orlando can get busy at times, especially along Interstate 4, seek out a rental vacation home close to the theme park you'll be visiting. North Carolina's Outer Banks, a chain of sandy barrier islands with some of the most undeveloped natural beaches in the country, stretches nearly 100 miles and beckons families looking for a relaxing getaway. Largely free from uncontrolled development, it offers a pristine coastal spot for families looking to avoid the crowds and chaos typically found at popular beach resorts. Kids will delight in the wide beaches and warm waters, and parents will relax as they take in the beautiful scenery. Filled with wildlife, the Outer Banks is the perfect spot to slow down and tune into nature. Still, there's plenty of the usual kid-friendly activities to enjoy as well. With several different towns from which to choose, you're sure to find the perfect match for your family's preferences. The Outer Banks, however, is one place you won't find a plethora of hotels. With so many just steps from the beach, most families opt to book a rental home for their vacation. "It must surely be the fairest picture the whole earth affords." That's what Mark Twain wrote in reference to Lake Tahoe, and families find he's right. The breathtaking beauty of Lake Tahoe -- located in California and Nevada -- is legendary and draws vacationing families year-round for fresh air and endless outdoor adventures. 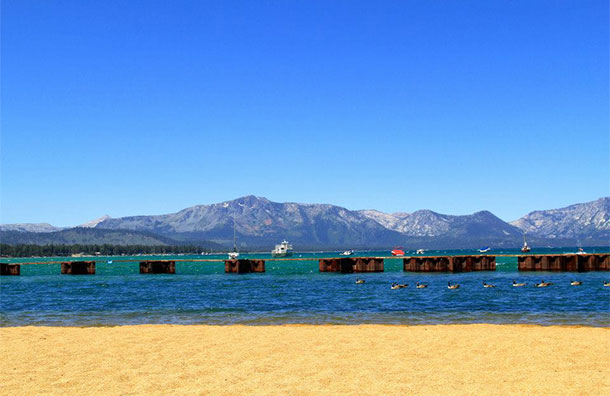 Most know Tahoe for its excellent ski terrain in winter, but Tahoe is just as appealing in the summer with its teal-blue waters, soft sand and wide variety of water and land sports. The biggest choice to make when visiting Tahoe is whether to stay on the north or south side of the lake. The north side is more "outdoorsy," and the south side is more appealing for those interested in entertainment and a bit of nightlife (expect high-rise casinos). 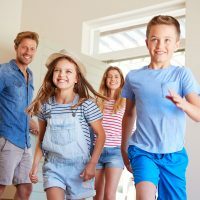 While the area offers motels, hotels and major resorts, renting a home where you can enjoy a prime location, lots more space, and cost savings is definitely the way many families choose to go. Cape Cod, a summer vacation land like no other, lures families with gentle bay-side waters and spectacular National Seashore beaches. But it's not just superior beaches that draw families to Cape Cod; they also flock to the area for the lakes, biking trails, quaint towns and shops, band concerts on the green, drive-in movies and miniature golf galore. 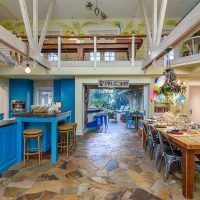 With every shape, size and style of rental home from which to choose, many families prefer to rent a vacation home in Cape Cod versus opting for a hotel. You'll find plenty of vacation homes right on the water, as well as those set back from the beach, frequently featuring lawns, pools or in-town conveniences. On nearby Martha's Vineyard and Nantucket (accessible by ferry), more rental options abound. There aren't any major resorts on South Padre Island in Texas, and there's only a few chain hotels to be found. The seemingly secluded island -- which spans 34 miles -- is a rental destination through and through. 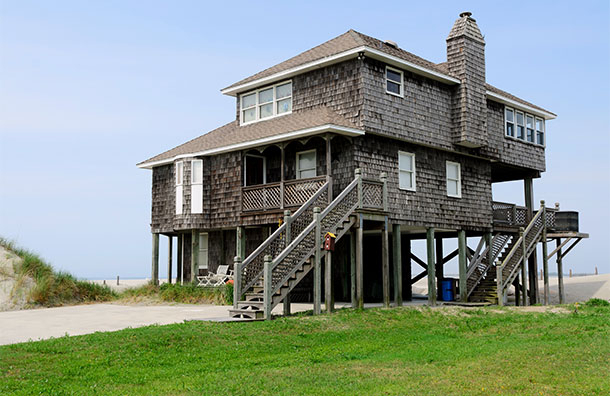 Many families rent homes right on the beach, where they spend most of their time. The beach is the main attraction, after all, and local activities typically take place on the water, with opportunities to water ski, jet ski, fish, whale watch and paddleboard. Of course, a trip to South Padre Island isn't complete without more water fun at Schlitterbahn Beach Waterpark (which doubles as one of the area's few hotels). 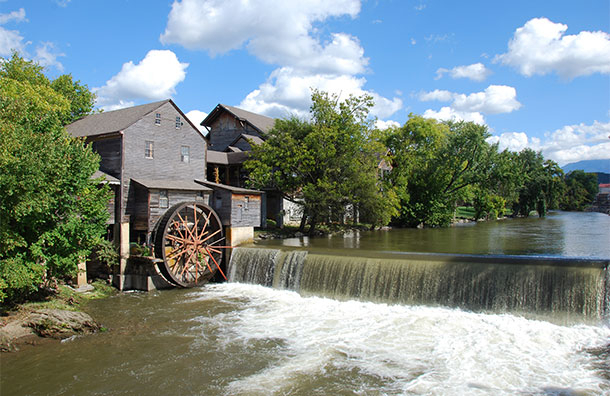 When you think of Gatlinburg and Pigeon Forge, you might envision activities in the great outdoors. While this is true, the region isn't just a gateway to the Great Smoky Mountains National Park -- it also offers popular attractions, such as The Titanic Museum, Ripley's Believe It or Not! Museum and Dollywood. Although you can find a few kid-friendly resorts in the area, many families prefer to stay in the mountains, where options for accommodations are limited to basic hotels or camping. Instead, many families opt for a rental home with a view. Myrtle Beach is known for an endless stretch of sand and surf, lined by high-rise hotels. Although there are plenty of hotel options from which to choose, many families prefer a vacation rental -- condo style near the beach -- or a single-family home with a swimming pool. They also find it more convenient to have a car available for getting around to the various beaches, attractions, and restaurants. There are more family attractions than you might expect to find in addition to sand and surf in Myrtle Beach, such as outrageous mini-golf courses (mirroring the 100 plus world-class golf courses in the area), Ripley's Aquarium, Broadway on the Beach (the go-to spot for shopping and amusements), and the outstanding Brookgreen Gardens (a wildlife preserve featuring a zoo, sculpture garden, and learning and research center), to name just a few. Showcasing a picturesque town with charming shops, cafes, and restaurants, Breckenridge, Colorado, is a long-time, year-round family favorite. In the winter, families flock to Breckenridge for world-class skiing, along with ample choices for little ones and beginner skiers. In the summer, there's no shortage of outdoor adventure, including hiking, biking, rafting and more. With an up-to-date infrastructure and plenty of modern conveniences and amenities, the old ski town has kept up with the needs of today's families. In Breckenridge, most shy away from the resorts, opting instead to get closer to nature by renting one of the many vacation properties in the area. These include everything from slope-side condos to five-bedroom homes nestled into the gorgeous Rocky Mountains.